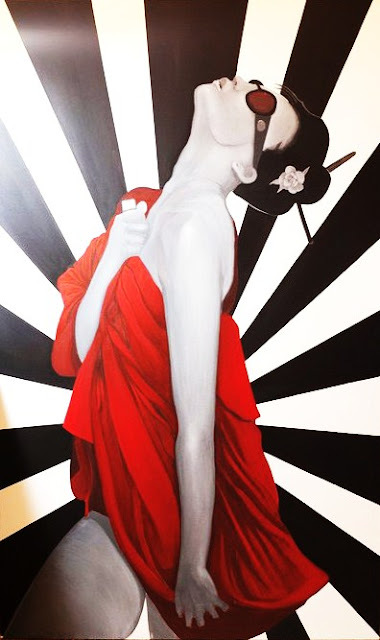 SPECIAL ANNOUNCEMENT: Jaime Guerrero will be painting live @7pm tonight at Crewest during the Dowtown Artwalk. We are very excited to be able to share his talent as he paints live for everyone to enjoy. "I'm a Freelance artist living in Los Angeles. Ever since I can remember I've had an urge to create. This strong desire has led me to become skilled in creative activities such as drawing and painting. Over the years my artistic interests have greatly expanded; art has always been about experimentation and discovery. It's a fluid process that I greatly enjoy. SPECIAL THANKS TO ANDI GARCIA OF THE ARTILLERIST AND JAIME GUERRERO FOR COMING TOGETHER AND BRINGING THIS LIVE ART SESSION TO CREWEST!